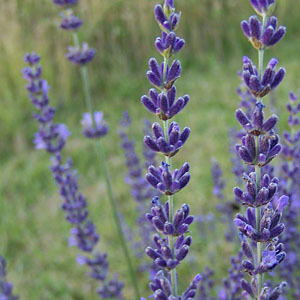 'Gros Bleu' is a new introduction with very long stems and the truest purple flowers of all the lavandins that we grow (though not quite as dark as the darkest of the English lavenders). Excellent fresh and dried flower. Much showier in the landscape than other lavandins. Another top 10 favorite. Categories: All Items, all potted plants, bee nectar plants, butterfly nectar plants, fragrant plants, lavender plants, Potted Plants, More..